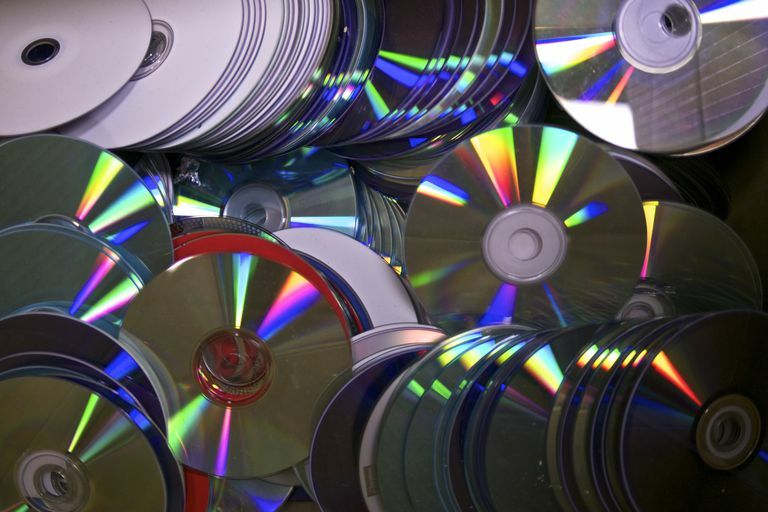 If you regularly burn digital music to CDs or DVDs, it’s good practice to index your compilations in some way to easily find what you’re looking for. One of the best ways to do this is to use graphic design software for your compiled CDs and DVDs. Use it to make customized case inserts and booklets that include song information. With some programs, you can also make designs for the discs themselves. This guide showcases free software on the web for creating your own customized designs that you can print out and use for your compilations. Easy to make labels for different sized cases. Comes with thorough instructions and documentation. Has a bit of a learning curve. Limited options for customizing text. such as jpg, png, and BMP. Adding text is easy for listing the contents of your media. This is a simple program that produces impressive results. Ronyasoft CD DVD Label Maker is compatible with Windows 10, 8, 7, Vista, and XP. Impressive web integration streamlines customization. You can only import one image per label. Limited options for editing images. , then you can use this option to search for CD cover art on the internet, which can be included in your design. This is an excellent program to use for music, photos, or any other type of data. CdCoverCreator is compatible with Windows 7, Vista, 2003, XP, and 2000. Built-in templates allow you to design professional looking labels in minutes. Has multiple uses beyond making CD labels. You also need Nero 12 multimedia suite to take advantage of all features. No longer available from its official source. Use Nero CoverDesigner to design and print labels, inlays, and booklets for CDs, DVDs, and Blu-ray discs. This fully functional freeware also creates business cards. CoverDesigner comes with a variety of templates, fonts, and decorative objects. Nero has discontinued CoverDesigner, but it is still available at some download sites. Nero CoverDesigner is compatible with Windows 10, 8, and 7. More text formatting options than other programs. Automatically converts unsupported images to an appropriate format. No design wizard and few built-in templates to get you started. You must supply an email address to register. Although the Magix Xtreme Print Studio is free, you need to register the software after seven days to continue to use it at no charge. This is a flexible program that has a good selection of CD and DVD cover templates, Xtreme Print Studio can also be used to design and print labels, inlays, and booklets. You can add various shapes to your designs, import images, and add text, which makes Xtreme Print Studio a flexible and capable design program. Magix has discontinued Xtreme Print Studio, but it is still available at some download sites. Magix Xtreme Print Studio is compatible with Windows Vista, XP, and 2000. No installation required; just download it and start designing. The print preview feature isn't always accurate. With its clear and simple interface, EZ Label Xpress Lite makes it easy to produce designs. You can create designs for CD and DVD cases, including the discs themselves. As with most programs of this type, you can import images, but there are no drawing tools to create your own designs within the software. That said, you can add text, which is a useful feature for listing the music tracks. Overall, a good program for quickly printing out designs for your CD and DVD compilations. Meritline has discontinued EZ Label Xpress Lite, but it is still available at some download sites. EZ Label Xpress Lite is compatible with Windows XP and 2000.